Chef in hotel or restaurant kitchen cooking, only hands. 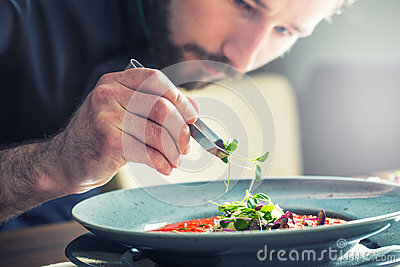 He is working on the micro herb decoration. Preparing tomato soup.